University Postering Policy guidelines are followed at the Physical Sciences Complex, therefore, printed posters or notices are not allowed on entrance doors, windows, walls or other areas inside or outside the building. Approved paper notices are only allowed on the bulletin boards. 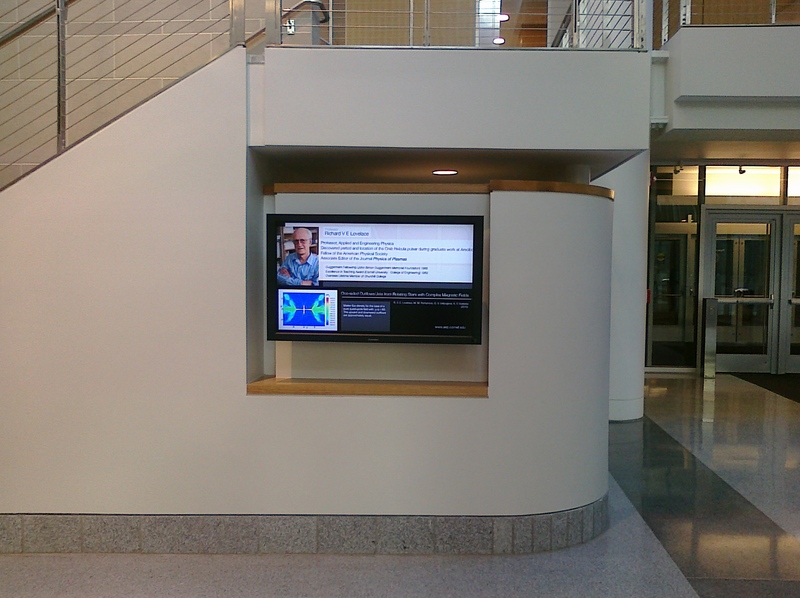 Our central Atrium is home to several attractive electronic displays where notices can be posted. Electronic notices must meet the content and format standards to fit these displays which are managed by Cornell’s new CUView system http://www.cit.cornell.edu/services/cuview. To post either a paper or electronic notice in our facility, please contact Tracy Davenport at 607-255-1023 or tdd26@cornell.edu.